One of the first questions I’m usually asked when I mention that I work for a speaker bureau is, “Who is the best speaker you’ve seen?” This normally follows the initial, tentative query, “What exactly is a speaker bureau?” Even after being at JLA for over a year, it’s still hard to say who the ‘best speaker’ would be. Part of the excitement and attraction of the job is the exposure to the sheer breadth of skills and expertise that a speaker bureau must necessarily represent. It could be Jeremy Bowen, BBC Middle East Correspondent for many years, with his incredible insight into the most inhospitable regimes and intractable conflicts. Or it could be Sir Ranulph Fiennes, with his dry and eloquent exposition of the perils of journeying around the world on its polar axis. You see, I’m spoilt for choice in the opportunities that I have to hear from people who, whatever their expertise, are the very best at what they do. It’s alarming how quickly you can start to take the opportunity for such a varied and prolonged education for granted. Even more alarming is that in the twenty-first century world of fibre optic freedom, for most people having such a sparkling array of experts at your fingertips is still unthinkable. In many parts of the world the very concept of a speaker bureau is virtually unthinkable. It’s hard to imagine walking for hours across the flooded countryside on foot for the privilege of learning Pythagoras’s theorem from the one maths teacher to be had for miles around. But in the village of Sahafitana, that is simply reality. February in Madagascar is monsoon season, but children will still be making the long walk, twice a day, to attend the one small school in the village. In May 2014,with the help of the Kitchen Table Charities Trust, JLA raised enough funds for a small primary school to open. This year, we’re teaming up with Madagascar Development Fund once again, to help build a sorely needed extension to a two-room school in Sahafitana. Working for a speaker bureau, I am part of an industry that has been built around a belief in the value of knowledge, expertise and excellence. And most of all, a belief in the importance of sharing those things. We now have the chance to act on that belief in the most transformative way possible. For just over 300 children, the construction of the school in Sahafitana will be the difference between some education and none at all. To make this change happen, JLA will be baking, biking, hiking, running, and raising in any way we can. Following the success of our previous charity auction, we will also be compiling a list of tantalising prizes from our pool of wonderful talent, and asking people to bid for a fabulous experience in exchange for a donation to help extend and improve the school in Sahafitana. 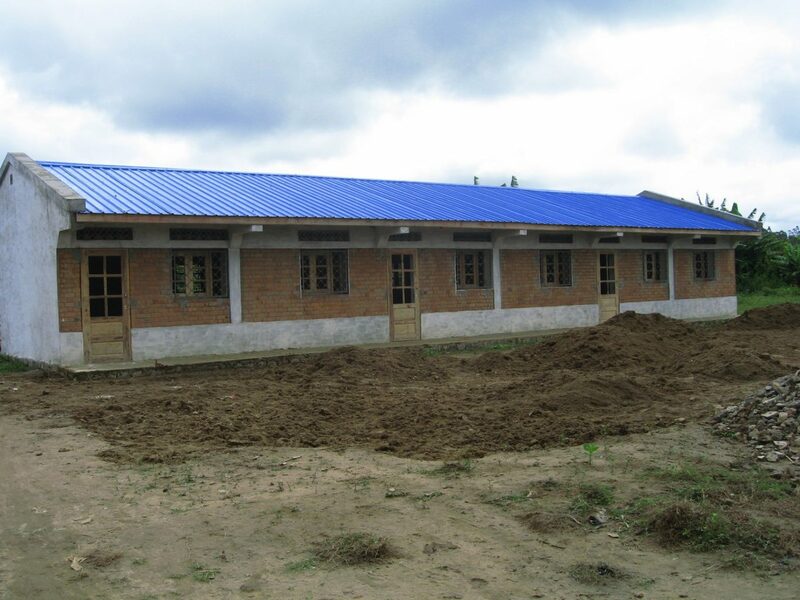 At the moment, the school you see is just a shell, unpainted, unheated and unfurnished – almost completely unfinished. It will take the help and generosity of lots of people to see it completed. It will be an uphill battle to meet our target, requiring motivation, teamwork, resourcefulness and an ability to move the minds of others. Luckily, I think we’re coming from the right industry. Please find here JLA’s donation page with Virgin Money Giving. Any donations will be hugely appreciated, and as new challenges are added, you can support members of JLA as they undertake them!